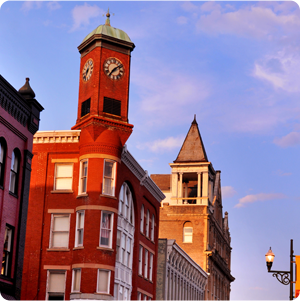 Did you know that Staunton is centrally located to eight Shenandoah Valley craft breweries and wineries? It’s true. Within a 16-mile radius, you can sip and taste wonderful fruits of the vines and bines. 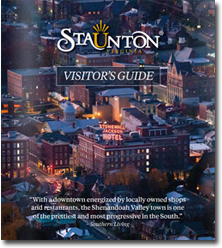 Come take a Staunton beer and wine tour with us! Plan out your day based on which craft attraction opens first. Enjoy a great downtown breakfast and visit Sunspots Studios to watch glass-blowing or to blow your own ornament. 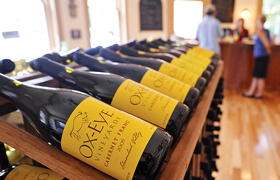 Walk across the street to try a wine flight at Ox-Eye Vineyards Tasting Room (open 10 am Saturdays; noon Sunday-Friday). Their patio is a great place to take in the views of the Wharf District while sipping Shy Ox, a summery citrus rosé with a strawberry nose. Within walking distance is Byers Street Bistro, a fantastic place for lunch with a great patio for enjoying the fresh air. 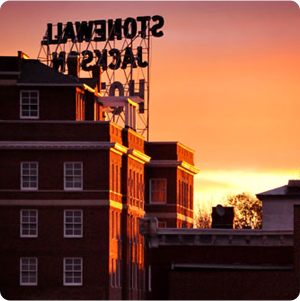 For an incredible view of the downtown area, travel up to Sears Hill Bridge right behind the Bistro and bask the beautiful sights. Shenandoah Valley Brewing Company, now located at 103 W Beverley St, opens at noon Friday and Saturday; 2 pm Sunday, and 4 pm Tuesday-Thursday. SVBC is the place to fill any growler you may have with you. Create your own flight from their 10 taps to mix and match however you choose. Redbeard Brewing (open 1 pm Friday-Sunday; 4 pm Tuesday-Thursday) is a small batch craft brewery offering six to eight of their beers at a time on tap. Redbeard is not yet distributed, so your only chance to sip what they’re concocting is on the premises. That’s a very cool “drink local” opportunity. Bedlam Brewing (open 11 am Friday-Sunday; 4 pm Monday, Wednesday, Thursday) is a newer brewery located on 2303 N Augusta St. Stop in on Wednesday nights for Trivia starting at 7:00 pm, or visit on Fridays and Sundays for live music. Don’t miss out on their delicious wood-fired pizza and happy hour specials starting at 4 pm daily. Staunton’s first brewery since Prohibition is Queen City Brewing, which opens at 4 pm daily; noon on Saturdays. Their patio is calling you to enjoy a pint and live music Wednesdays and Fridays. Also try your hand at crafting your very own beer with their Becoming the Brewmaster program. Fill up on something hearty before hitting the road for more craft adventures. Barren Ridge Vineyards (Fishersville) opens at 11 am daily; 1 pm Sunday. Their expansive patio boasts incredible pastoral and mountain views. Try a flight, then ask about their sausages, cheeses, crackers, and jams that pair beautifully with your favorite wine. Seven Arrows Brewing Company (Waynesboro) opens at noon Saturday and Sunday and 11 am Monday, Wednesday-Friday. Select Saturdays feature an event called Om Brew, a yoga class rewarded with a beer afterward. 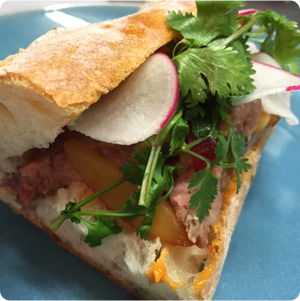 Seven Arrows recently added Nobos kitchen to their facility, serving food from when the brewery opens until it closes. Nobos’ menu is often changing, and updates can be found on their Facebook page. Stable Craft Brewing (Waynesboro) opens at noon Saturday-Monday, and 4 pm Wednesday-Friday. 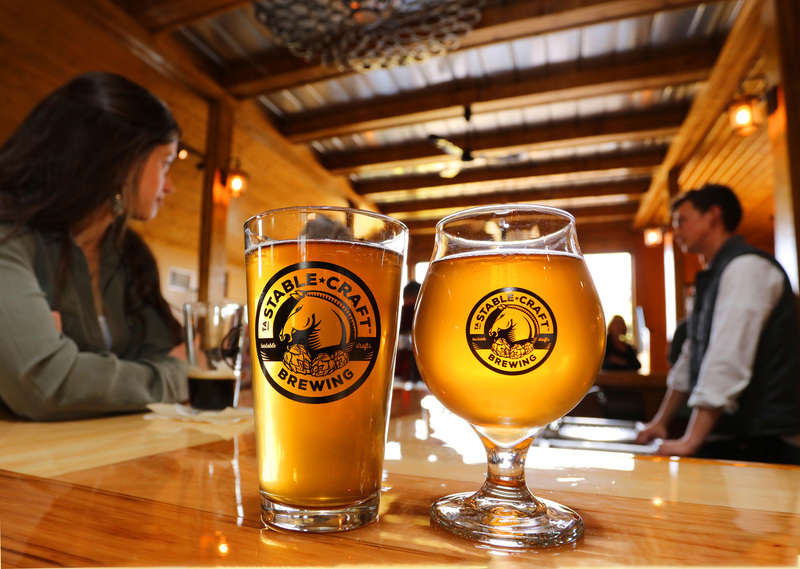 Nestled into a working horse farm, Stable Craft is a cool place to experience a little of the outdoors while tipping back a beer and scarfing down a burger in the Draft Room. Basic City Beer Co. (Waynesboro) opens at noon Friday-Sunday, 5 pm on Mondays, and 3 pm Tuesday-Thursday. This relatively new brewery is located on 1010 E Main St. Basic City Beer Co. offers live music often, so make sure to check their Facebook page and website to keep up to date on upcoming performances! Don’t miss out on Hops Kitchen, either. Located on the back patio of Basic City, this small kitchen serves chef specials and shareables during the week, and a full menu Fridays-Sundays. 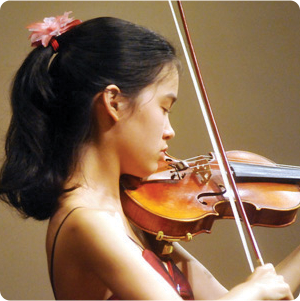 Close out your day with a great downtown dinner, a show at American Shakespeare Center’s Blackfriars Playhouse or a classical concert by Heifitz International Music Institute. All of the breweries mentioned in this article are members of the Shenandoah Beerwerks Trail.